A. Takashima, Y. Izumi, E. Ikenaga, T. Ohkochi, M. Kotsugi, T. Matsushita, T. Muro, A. Kawabata, T. Murakami, M. Nihei and N. Yokoyama, “Low-temperature catalyst activator: mechanism of dense carbon nanotube forest growth studied using synchrotron radiation”, IUCrJ 1, 221-227 (2014). 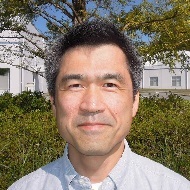 E. Ikenaga, M. Kobata, H. Matsuda, T. Sugiyama, H. Daimon, K. Kobayashi,　“Development of High-Spatial resolution and Wide-Angle Resolved Hard X-ray Photoemission Spectroscopy at BL47XU in SPring-8”, J. Electron Spectrosc. Relat. Phenom. 190, 180-187 (2013). M. Inukai, E. Ikenaga, T. Muro, S. Ogawa, Y. Ojiro, Y. Takakuwa, M. Sato, M. Nihei, and N. Yokoyama, “Spectroscopic Analysis of Graphitization and Grain Orientation of Carbon Films Grown by Photoemission-Assisted Plasma-Enhanced Chemical Vapor Deposition”, Jpn. J. Appl. Phys. 52, 065503 (2013). T. Ohkochi, M. Kotsugi, K. Yamada, K. Kawano, K. Horiba, F. Kitajima, M. Oura, S. Shiraki, T. Hitosugi, M. Oshima, T. Ono, T. Kinoshita, T. Muro and Y. Watanabe, “Capability of insulator study by photoemission electron microscopy at SPring-8”, J. Synchrotron Rad. 20, 620 (2013). T. Ohkochi, A. Yamaguchi, M. Kotsugi, H. Hata, M. Goto, Y. Nozaki, T. Nakamura, H. Osawa and T. Kinoshita, “Progress in time-resolved photoemission electron microscopy at BL25SU, SPring-8: Radiofrequency field excitation of magnetic vortex core gyration”, Jpn. J. Appl. Phys. 51, 128001 (2012). E. Ikenaga, M. Kobata, J. Kim, A. Wakabayashi, Y. Nishino, K. Tamasaku, Y. Sakane, T. Ishikawa, S. Komiya, K. Kobayashi, “Study of Adsorption States for Lubricant Molecule using Hard X-ray Photoemission Spectroscopy”, J. Electron Spectrosc. Relat. Phenom., 156-158, 336-339 (2007).